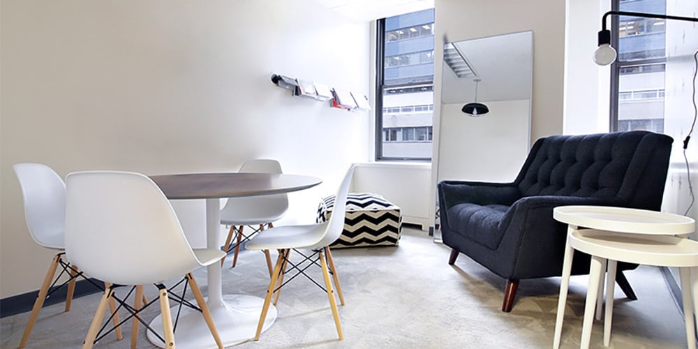 We provide furnished, equipped, and staffed Manhattan temporary space featuring amenities and services to support your business in vibrant Midtown New York. NYC Office Suites is committed to delivering service excellence and flexible office contract terms. Our contracts carry a term length of as little as 3 months. Our flexibility allows companies to match their New York office requirements with their professional needs. 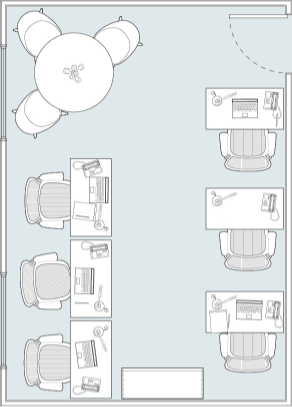 We offer many New York office space sublease configurations, including executive offices, multi-person offices, coworking, shared office space for rent, flexible workspace, team / project offices and cubicles. Interested in business, and business referrals, from other members of the NYC Office Suites community of hundreds of firms? Share your details and attend our many business-themed or holiday-centered events to stay up-to-date. Also, enjoy our pre-negotiated deals on products and services such as office supplies and health club memberships. Private, full-time office space pricing starts at $595/month, largely inclusive. Finding office space in Manhattan can be a challenge, especially if you’re looking for a temporary workspace to meet the changing needs of your business. 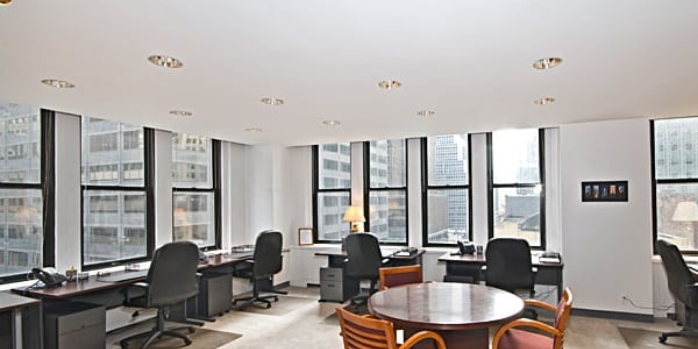 NYC Office Suites is your trusted local expert in furnished, equipped, and staffed Manhattan office spaces that have a full range of amenities and services to help your business grow and thrive. We understand how important flexibility is to the modern business and are willing to offer flexible contract terms that last as little as three months. Regardless of how long you need a space in New York, we are proud to deliver excellent customer service throughout the length of your stay and accommodate all of your professional needs. We’d like to point out some of the many advantages of working with us for your office space needs and using our ready-to-use Manhattan offices. As companies grow, expand, and shift markets, they often need more space to accommodate additional employees, support staff, and equipment. We can help you adjust to your company’s newfound growth and capitalize upon it with a variety of customized office space sublease configurations. Choose between our attractive executive office, multi-person office, co-working space, project office, and cubicle models and get your team back to work in no time.